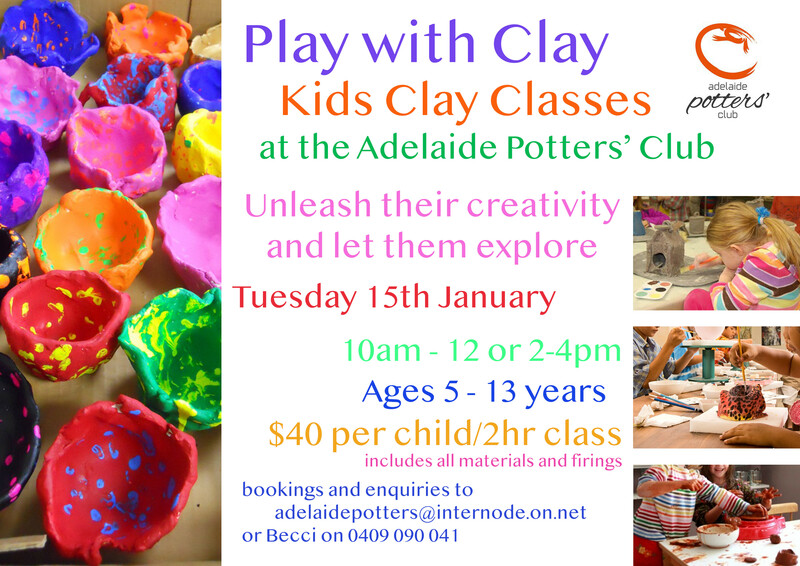 As the forecast for Thursday is now above 42, to be able to get some clay time for the children I am moving the classes to Friday the 25th at 10 am only. I will change what we are making from mugs to mobiles as it’s still pretty hot so the pots don’t crack as they dry. If you are able to once again reschedule please email me at beccidawson@hotmail.com to confirm the 10 am class . I am contacting you all regarding what to do in the event that the temp on Tuesday is the forecast 41 degrees , as the classes are held outside and this is too hot for most children to be safe. Can I please confirm if your child/children were definitely coming and if so could they attend on an alternative date for the Thursday 24th of January if need be . Also if you could email me back with your child’s name and which class they were in and what your preference is to cancel altogether or to try for better weather on the 24th of January . This entry was posted in Uncategorized by Adelaide Potters. Bookmark the permalink.